Folks, it was inevitable. The EV revolution in automobiles is happening right now, and it just so happens to coincide with a major global resurgence in camping and the whole vanlife thing. We know that electric RVs are already out there, but as far as we can tell, this would be the first Tesla-based motorhome in the world. The mastermind behind this project is a man named Travis Rabenberg. You might expect this build to incorporate Tesla’s Model X SUV, but it’s actually based on the Model S P90D. 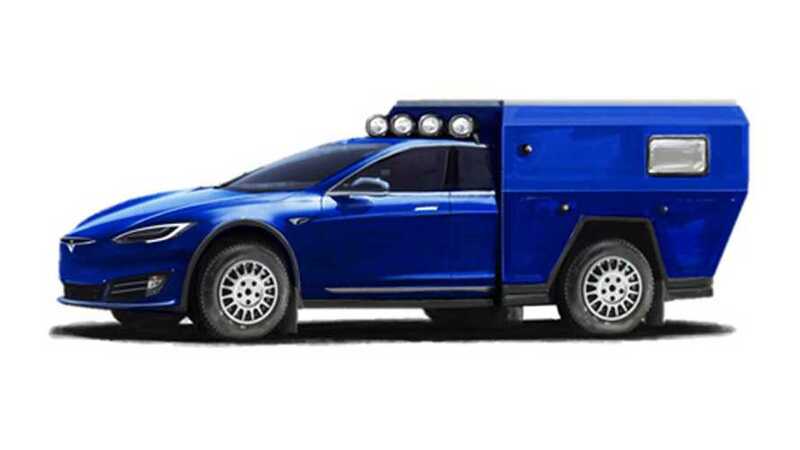 Rabenberg calls it the Tesla Roamer, and as you can see, it deletes the sedan’s rear haunches for a small living space that has a pop-up roof, a bed, and provisions for water to operate a sink and toilet also included. 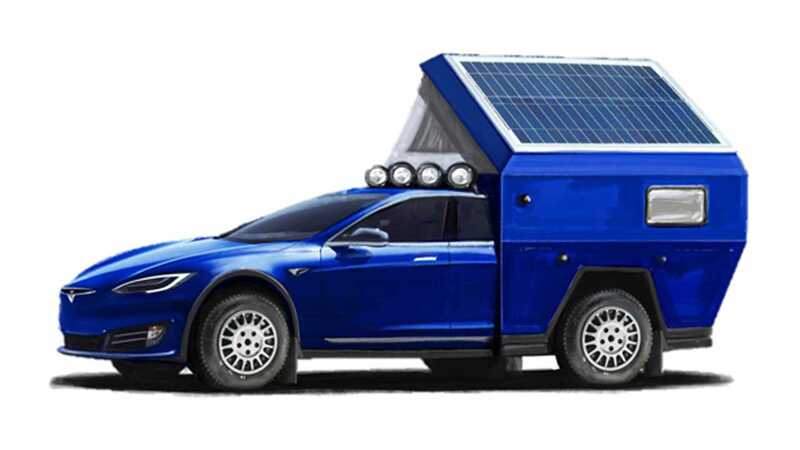 And since you can't have an electric motorhome with solar power, the Tesla Roamer incorporates a solar panel with the capability of generating 1,000 watts of juice. There’s another interesting aspect to this particular build. Rabenberg isn’t simply seeking to create an electric camper with decent range; he wants it to be exciting as well. With the foundation being a P90D, its electric powertrain can generate up to 691 horsepower (515.2 kilowatts). Provided all your camping gear is properly stowed in the back, acceleration for the Tesla Roamer should be brisk to say the least. In fact, Rabenberg expects this RV to hit 150 mph, which would be enough to set a new Guinness World Record for the fastest motorhome and yes, he already has plans to go for the record. We suspect such velocity is of little interest to typical RV fans, but this isn't a typical RV. And honestly, having a camper that can hang with most cars on the Autobahn certainly has some cool factor. At this point, we only have a couple sketches of the project but we’re told this isn’t just a bit of vaporware. Rabenberg plans to show off the Tesla Roamer prototype next week – along with an electric school bus he built – at a special event in Michigan focusing on electric vehicles. His mission is to promote sustainable travel and appeal to younger generations who may not be interested in larger campers that are undeniably thirsty with fuel. As such, Rabenberg plans to take his Tesla Roamer on a cross-country tour this summer, then jump across the pond to drive from the UK to Dubai for the 2020 World Expo.